It’s time to stop looking at other people’s awesome Lego Overwatch creations and start building your own . . . versions of their awesome Lego Overwatch creations. Nick Brick’s Legendary B.Va skin mech tutorial is a fine place to start. 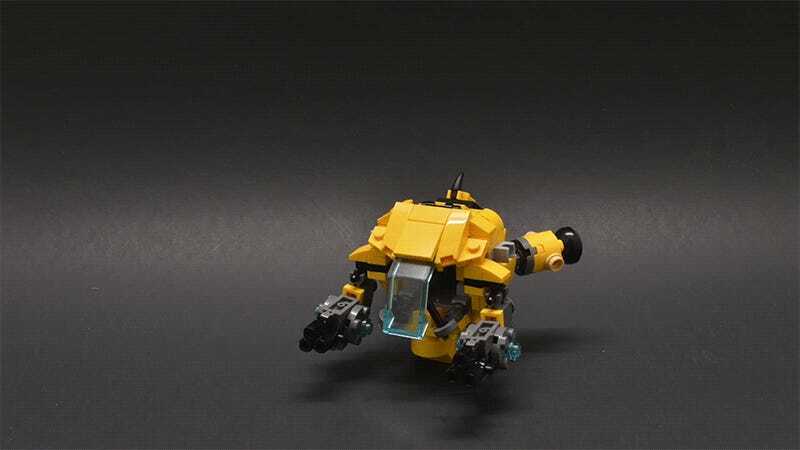 Let’s face it, Lego is never going to make official Overwatch sets. Their rules against against violent play that isn’t Star Wars related is why Mega Bloks ended up with World of Warcraft, Call of Duty and Halo. But who needs official sets when folks like Nick Brick are laying out everything you need to make your own? In the video below you’ll find a complete parts list (also here), a walk through of building instructions from the free Lego Digital Designer app (with files here) and a stop-motion assembly sequence, in case you were having trouble getting it together. From there you can swap out some colors, sub in different parts and basically build any D.Va mech you want. I should have all of these pieces in my spare Lego parts crate. Unfortunately it’s a parts crate and not a parts neatly-organized-storage-system, so I will probably never find them all. Time for a trip to BrickLink.